Dwyane Wade Says Ex-Wife 'Mental' After Street Protests, She Still Got The Kids! 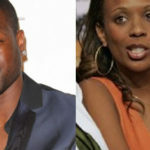 Home News Dwyane Wade Says Ex-Wife ‘Mental’ After Street Protests, She Still Got The Kids! After Dwayne Wade’s ex-wife Siohvaughn Funches made a public statement which suggested that she was not being financially taken care of and on the streets after sitting outside of the Daley Center in Downtown Chicago, her mental state is now being questioned, by Dwayne Wade. Funches was holding the sign “NBA Miami Heat Star Mother Of His Children On The Streets” during her public protest on Chicago streets. The NBA star allegedly was paying Funches $25,000 a month in child support, in addition to paying her mortgage, taxes and more throughout their custody battle following their divorce in 2007. Wade was later granted sole custody of their two children Zaire and Zion in 2011. Meanwhile, Dwyane who was expected to surrender his children to their mother for a Summer vacation following her public outcry, denied to do so while questioning her ‘mental’ state and filing a motion to not allow her access to their children. Miami-Dade County Judge Antonio Marin denied Wade’s motion and ordered the Miami Heat player to surrender his children to their mother. Judge Marin did however, order that Funches undergo psychiatric evaluation for potential anger management issues. Since the public outcry, the two made a settlement and Wade will pay Funches $5 million as part of a “nondisparage” agreement, therefore neither can pull a stunt again like Funches did.